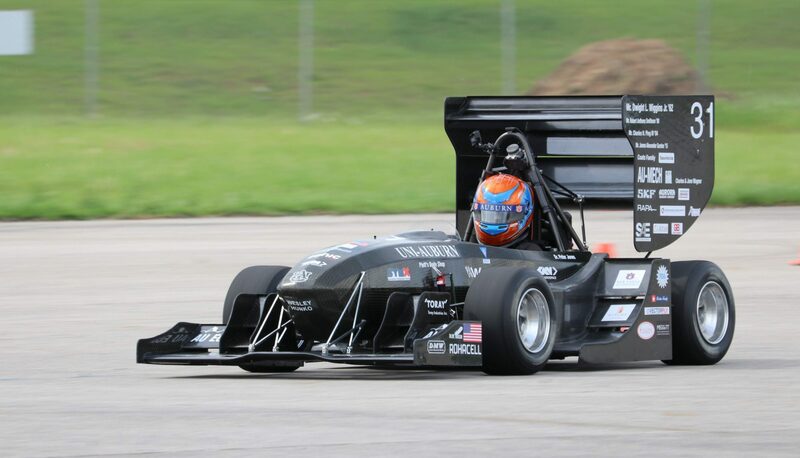 The Auburn University Formula SAE Racing Team would like to invite you to the 2013 Car Release Ceremony! Come join the team in unveiling AU-2013! This has been planned for you! We want to thank you for your support this season and would like to showcase what your time, effort, and money have gone towards. Come see the beautiful new competition machine’s first public appearance! Don’t miss this fantastic event! When? Saturday, March 16, 2013 at 12:00, plan to attend a special demonstration after the ceremony! Take W Magnolia Ave. to Donahue Drive. Turn left at intersection onto S Donahue Drive. Turn left onto War Eagle Way at intersection (first intersection after turning onto Donahue) then proceed to turn left into the parking lot of the Lowder Business Building. After parking, walk east towards the Shelby Center for Engineering Technology. The ceremony will begin at 12:00, noon, in the courtyard between The Shelby Center and Wiggins Hall. Wear? This is a casual event! Wear whatever you like (preferably an AUFSAE t-shirt!)! Why? To see the beautiful 2013 racecar, socialize with team members and other sponsors, show your support for the team, and for delicious catering from Island Wing Company! The ceremony will consist of lunch, a presentation by the team, the unveiling of the car, and shop tours! Then What? After the conclusion of the ceremony members of the team will give guided tours of the team’s shop facilties while the car is loaded into the team trailer. The car will then be demonstrated at The Auburn University Regional Airport! We hope you can join us! Turn right out of Lowder parking lot. Take a right at intersection heading North on Donahue. Take a right onto Glenn Ave. (second intersection you will come to), proceed approx. 2.7 miles. Take a left at intersection onto Airport Rd, enter newly paved area on the right after turning onto Airport Rd. Please park along the newly paved road outside of the gated entrance to the test area. Please RSVP to Andrew Rains (alr0025@tigermail.auburn.edu) with how many people you plan to bring with you to the event! See you on March 16th! Previous PostPrevious AU 2013 is Rolling. Power Coming Soon! Next PostNext AU 2013 is Complete! !